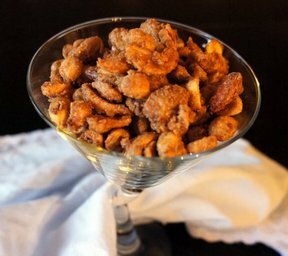 With a sweet flavor and a crunchy texture, candied walnuts are an enjoyable snack or they can be used as a garnish for a wide range of dishes. Preheat oven to 350° F. Lightly oil bottom of baking sheet. In a medium bowl, hand beat egg whites until foamy. 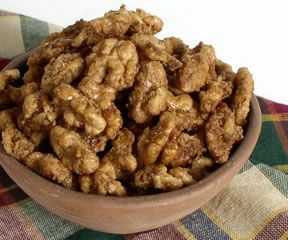 Add walnuts and brown sugar, stir until combined. 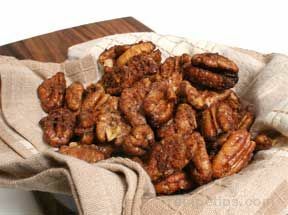 Arrange coated walnuts on oiled baking sheet in a single layer and keep separated from each other. Bake 12-14 minutes, or until golden brown. 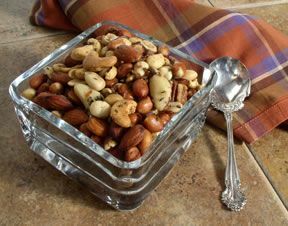 Use for garnish on salads or as a snack.